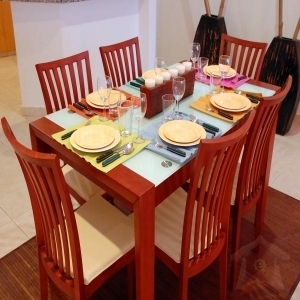 Las Olas 101 is a spectacular, colorful luxury timeshare community set into the hillside overlooking the Playa Del Carmen. 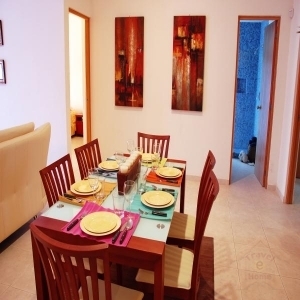 Las Olas 101 vacation rental is located in the gated community of Playa Del Carmen. 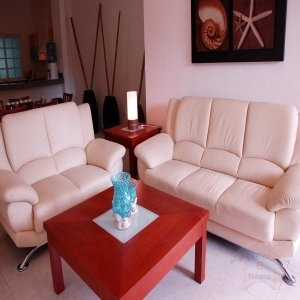 Reflecting the best of contemporary Mexican architecture, this spacious two bedroom seaside condo is as simple as their lines and decoration as it is comfortable and elegant. The condo has two bedrooms and sleeps six comfortably and has two bathrooms and kitchen. 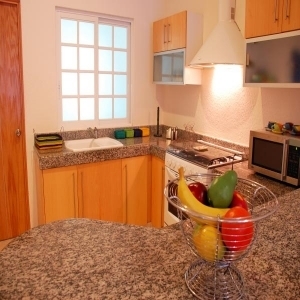 The kitchen is well furnished with gas range, dishwasher, BBQ and a large dining area. 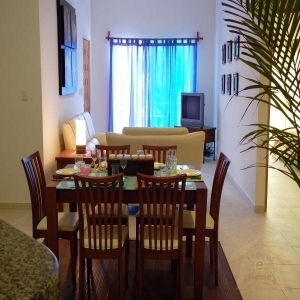 The condo also has a heated pool for your enjoyment with a great view to the Playa Del Carmen. 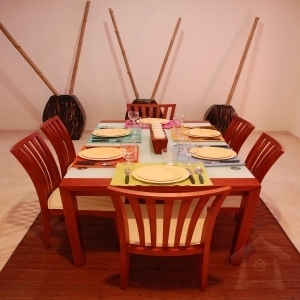 A lavish garden to add an exotic feel surrounds the entire complex and plenty of risk-free street parking. 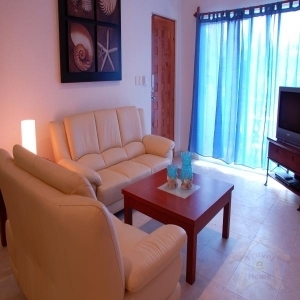 Condo is just a short walk to secluded beach and close to restaurants and town for shopping. 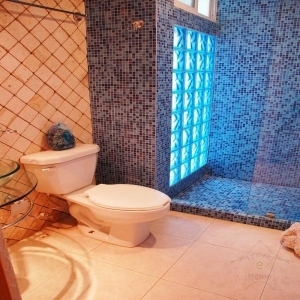 Las Olas 101 vacation rental rates $1100 per week. Rates are subject to modify without notice. 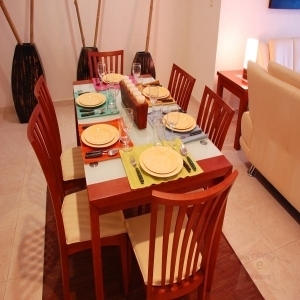 Las Olas 101 is one of the best values in Playa Del Carmen.